There’s fortune in your Greek Coffee! 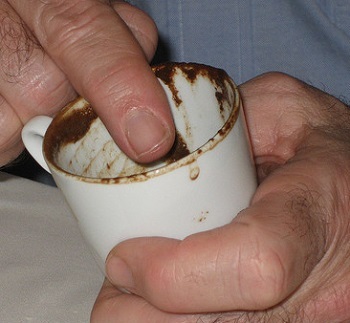 The ancient art of Coffee tasseography, called καφεμαντεία in Greek, is reading the leftover coffee grounds or residue in the cup, instead of having your palm read, just check out the aura in your cup! We have asked a few “professionals” to enlighten us on the methods used. First, put away your skepticism. Open your intuition and maybe you too, will find your Miss Cleo moment? Sharp symbols -the person is fortunate. The less visible is the more vulnerable the person in pitfalls. The triangles indicate luck, squares protection, circles are disappointment. The straight lines indicate programs, waves – uncertainty. Lines with dots indicate a trip. Castle: Legacy. Fate in economics. Cup: Love. Harmony. Close friendship. Boat: Journey. End of a friendship. Door: Opportunity. Chance for promotion. Bird: New news (can be pleasant or unpleasant). Possible trip. Clover: good luck, either four-or trifoliate. Even though surrounded by symbols are negative, there is strength. Wheel: Progress will come with effort. 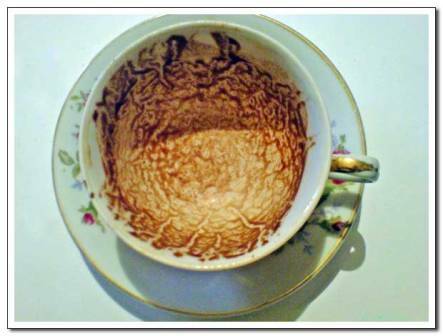 Each person who initiate’s the coffee reading sees the cup differently. When a figure or symbol is seen, connect them to others and make the full picture. Each figure has its own meaning, but on the other hand, in between other figures it changes the meaning according the situation. The reader’s intuition, imagination mixed with a little wit can foretell a great bit! When the reader finishes the coffee fortune, he/she should return the cup to the person whom the reading was for. Then that person needs to make a wish in the cup. While making your wish you use index finger and make a fingerprint in the cup. After the person passes the cup to the reader again who needs to interpret the wish as well, will it come true or not. So who needs to wish upon a star when you can wish upon your very own coffee cup! Opa! What is a Briki? Click here. 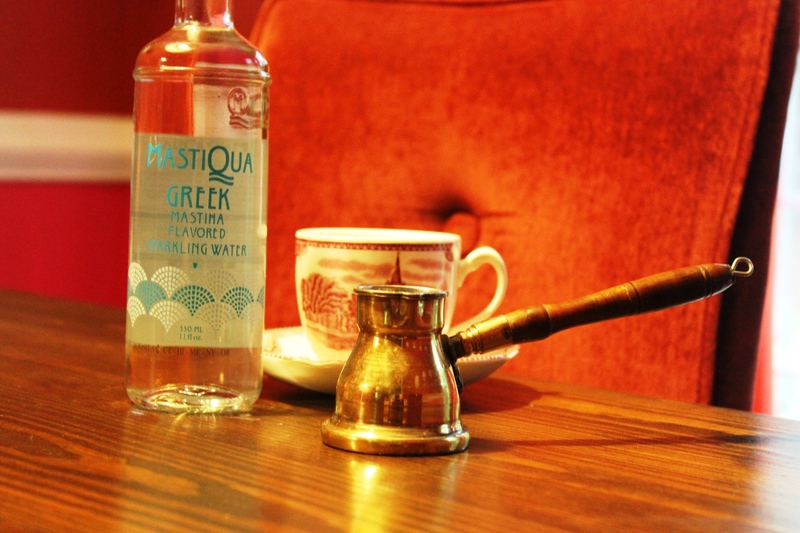 How to make Greek Coffee? Watch our friend Diane Kochilas! This entry was posted in Uncategorized and tagged fortune telling, greek coffee, greek fortune telling, nationalcoffeeday, tasseography. Bookmark the permalink.